Reliance Jio, the telecom major led by Mukesh Ambani, has partnered with Samsung Electronics to set up a nationwide IoT (Internet of Things) network. According to a report, the companies will continue their partnership to help Long-Term Evolution (LTE) services reach 99% of the country’s population. The companies also aim to improve the network capacity in the country. The IoT network will support consumer and enterprise uses which includes vehicle tracking, smart appliances, smart metering, security and surveillance. Reliance Jio claims that it is ready to pave the way for a fully digital India where IoT will reach every corner. Earlier in January, Inc42 reported that Reliance Jio was exploring Internet of Things (IoT) with a major focus on enterprises and industries. To that end, Reliance Jio also appointed Ayush Sharma as its Senior Vice President of Engineering and Technology, in order to drive its IoT business along with other technologies including mobile edge computing, distributed artificial intelligence and blockchain. The reports also surfaced that the company has started its offerings of enterprise solutions along with fiber-to-the-home on a trial basis at a few places. It also reportedly planned to launch a broadband-powered home automation system that entails the installation of six-seven smart plugs. With this, users can use their smartphone and tablets to control their home. Reliance Jio is also in the process of launching a home surveillance package, comprising a smart camera, smart doorbell, smart lock and chime alarm. These products will be managed by the user’s mobile devices. It was earlier reported that that the company has been experimenting with IoT and AI to determine how these technologies can help bolster Reliance’s offerings. As per sources, the company was also working on the applicability of private and permissioned-blockchain solutions and planned to rope in all three technologies together through its subsidiaries. At present, Reliance Jio offers wallet, music and other facilities. Last month, reports surfaced that the company was in the process of launching its cryptocurrency JioCoin. 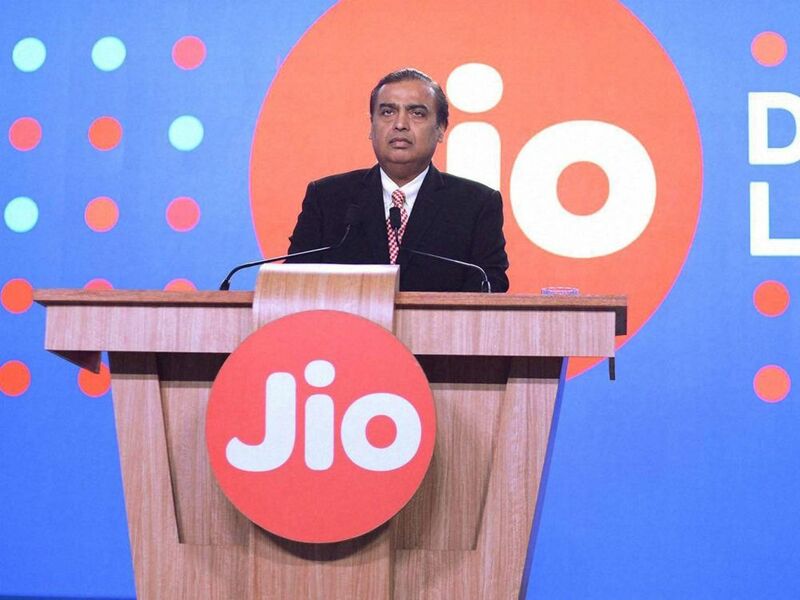 Reliance has since announced that it has no immediate plans to launch its official JioCoin app. At the 12th India Digital Summit, organised by the Internet and Mobile Association of India (IAMAI), NITI Aayog CEO Amitabh Kant forecasted the IoT market in India to be worth $70 Bn by 2025. He added that the driving factors for this growth are increased Internet penetration, smartphone adoption and the rise in the number of digital transactions. With the expected growth of IoT in the country, the partnership between Reliance Jio and Samsung is something to watch out for.